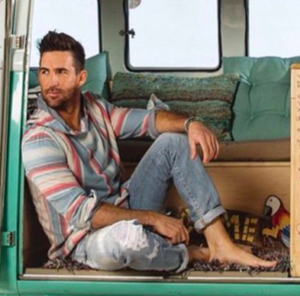 Jake Owen is in his 11th year on the country radio charts. I guess that makes sense the more I think about it, but it still feels like he’s fighting almost like a new artist on the scene. The last couple years have been hit or miss for Jake. I remember seeing him in an interview kind of talking about it. He wants to try some new things, but sometimes when he does the songs don’t hit. But he can also find some songs that are right in his pocket of the country world and those seem to become huge hits. The last single didn’t really work, but this one sees Jake back at the water having a good time. Just a cool song from a cool guy. The beach and the water has kind of infiltrated country over the last few decades. Jimmy Buffett might have been the original back in the ’70s. Kenny brought it back strong in the ’00s. Zac Brown has been there a few times in the ’10s. And Jake has really taken it on in the ’10s as well. This is kind of in his wheelhouse. It’s that summer vibe with good times, good brews and good friends. This one also reminds me a little of the pop rock that came out in the late ’90s. Things like Sugar Ray and things like that. Just vibey music with fun beats that made you want to party all summer. This one sounds like a hit to me.